People around the world are making do with lesser sleep each night, with some getting as little as 6.3 hours of shuteye on the weekdays and 6.6 on the weekends, significantly lower than the daily recommended eight hours. SLEEP ON IT. Almost half of the respondents surveyed for ‘The Global Pursuit of Better Sleep Health’ report said their sleep has worsened in the past five years, and 78 percent want to improve their quality of sleep. The annual global sleep survey, carried out in conjunction with World Sleep Day on March 15, surveyed over 11,000 adults in Australia, Brazil, Canada, China, France, Germany, India, Japan, the Netherlands, Singapore, South Korea, and the United States to capture attitudes, perceptions, and behaviors around sleep. Results revealed an increasingly sleep-deprived world. While awareness of sleep’s impact on overall health is on the rise, for many people across the globe, achieving good sleep health remains elusive. Besides having insufficient sleep, 62 percent of global adults describe their sleep as ‘somewhat’ or ‘not at all’ well, and almost half (44 percent) say that their sleep has worsened in the past five years. According to the 2016 Healthy Living Index Survey, Filipinos have one of the highest rates of sleep deprivation in Asia with 46 percent of Filipinos not getting enough sleep and 32 percent saying they sleep for less than six hours. The impact of this is demonstrated daily, with as many as 60 percent saying they have experienced several episodes of daytime sleepiness throughout the week. In the Asia-Pacific countries surveyed, stress was the main reason keeping people up at night, with half (50 percent) losing sleep over worry or stress. 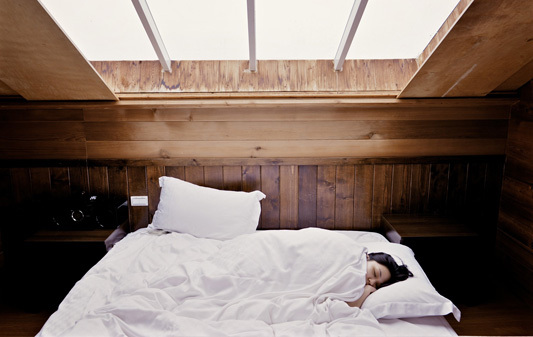 Additionally, other factors that keep adults in Asia-Pacific up at night include their sleeping environment (32 percent), distraction from entertainment such as television, social media (27 percent), health conditions such as pain or breathing problems (23 percent), drinking caffeinated drinks or using stimulants close to bedtime (18 percent), and their partner’s snoring (17 percent). Facing such sleep deprivation, 78 percent of Asia-Pacific respondents say that they want to improve their quality of sleep. To get a better sleep, some are experimenting with a variety of methods, including instituting a set bedtime/wake-up schedule (22 percent), watching television (33 percent), reducing their caffeine consumption (23 percent), playing soothing music (24 percent), and even sleeping in a different location from their partner (17 percent). “It’s worrying that despite the public awareness around the importance of quality sleep for overall health, people in some parts of Asia-Pacific are among the world’s poorest sleepers,” lamented Ashwin Chari, country manager of Philips Philippines. 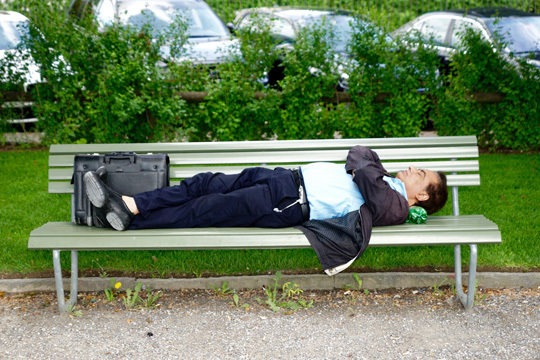 Despite the obvious need to address their lack of sleep, sleep issues are often deprioritized. In seeking better sleep, 31 percent of Asia-Pacific respondents say they would be willing to use online search engines to learn more about sleep and/or treatments to improve their sleep, and 34 percent would be open to seeing a sleep specialist. Yet, 75 percent of adults have not sought help from a medical professional, mainly due to the perceived high costs of sleep consultation (25 percent) and treatment (30 percent). “Sleep is a key pillar of good overall health, as equally important as having a healthy diet and getting regular exercise. While most are aware that sleep is fundamentally important, achieving the recommended eight hours of quality sleep is still an elusive goal for many people each night,” said Mark Aloia, PhD, global lead for Behavior Change, Sleep and Respiratory Care at Philips. There are several types of sleep apnea, the most common of which is Obstructive Sleep Apnea (OSA). As a seldom-discussed, under-diagnosed condition, OSA is characterized by repeated interruptions in breathing throughout the sleep cycle. It occurs when your throat muscles intermittently relax, preventing oxygen from reaching the lungs during sleep. Filipinos have one of the highest rates of sleep deprivation in Asia, with 46 percent of Filipinos not getting enough sleep and 32 percent saying they sleep for less than six hours. Symptoms of OSA include choking or gasping for air during sleep, loud and persistent snoring, and excessive daytime fatigue and poor concentration during the day. If left untreated, sleep apnea can have serious short- and long-term health risks including heart disease, type 2 diabetes, stroke, and high blood pressure.